Fives has long been specialized in the design of milling machines. 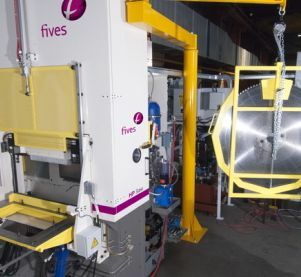 Following on from this activity, Fives has developed fettling and cubing machines dedicated to the cubing of foundry parts from medium to large series, as well as several applications: sawing machine for carbon and graphite anodes. Fettling and cubing machines are designed for easy maintenance and to operate in foundries’ special environment. Relying on highly-skilled engineering teams, Fives can adapt the design to specific needs. The machine is completely protected and covered to comply with environmental and safety standards.